Are you a real hero? Is torture a valid game mechanic? Should 'good guys' be able to do horrible things in games like WoW? where you are required to torture a prisoner until he reveals the location of a "high-value enemy asset" (as the CIA like to call bosses in the real world). The critics of the quest argue that torture is a terrible thing in real life and the depiction of it in WoW trivialises this and does nothing to show the lasting psychological scars it leaves in both the victim and the perpetrator. The usual defence for all this is that it's just a game and by the time you get this quest, you've just spend 71 levels systematically slaughtering your way through three continents on two planets, so the use of a neural needler to extract information barely warrants a mention on your rap sheet. But this is disingenuous. 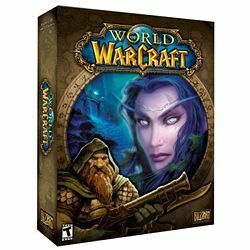 WoW is normally entirely unambiguous morally; the players are the heroes, the mobs are savage, mutated, diseased beasts or agents of pure evil serving unspeakable demon lords. That's the entire point. If your character isn't the kind of person that is carried shoulder-high whenever he visits his home town, then you're doing it wrong. Which leaves us with a minor problem because you don't get to be carried shoulder-high these days unless you are level 80 and part of getting to 80 occasionally involves doing some fairly distasteful things. My approach has been to adopt a sort of ethical offsetting scheme. If I need to torture a guy, I'll make sure I buff him afterwards to say sorry. And if I need to feed 10 decaying ghouls as part of a sneaky subterfuge, then I'll just kill an extra 10 ghouls afterwards to even it up. The quest giver gets rid of that burdensome yellow exclamation mark, I get the XP, everybody wins. Well, except the bad guys. But that's the point, isn't it?